If you aren't the biggest fan of horror, never fear. Kojima promises to add a touch of humor to Death Stranding. Hideo Kojima remains steadfast in keeping his current project, Death Stranding, under wraps. However, this hasn’t prevented the Metal Gear Solid developer from dropping the occasional hint to keep fans interested. In a recent interview with Glixel, Kojima explained that Death Stranding will include the same quirky humor found in his previous efforts, and despite the ominous trailers, Death Stranding isn't a horror game. "I don’t have a dark mindset in particular. Death Stranding is not a horror game. I just wanted to make something that looks very unique, something you haven’t seen before, something with a more artistic slant to it. I’m not pursuing a dark aspect to the game," Kojima stated. While fans may have hundreds of unanswered questions regarding Death Stranding, Kojima’s latest piece of info that the game isn’t heading in the direction of Silent Hills, for example, is a huge revelation. The two teaser trailers released for Death Stranding both boast a very ominous, gloomy tone. 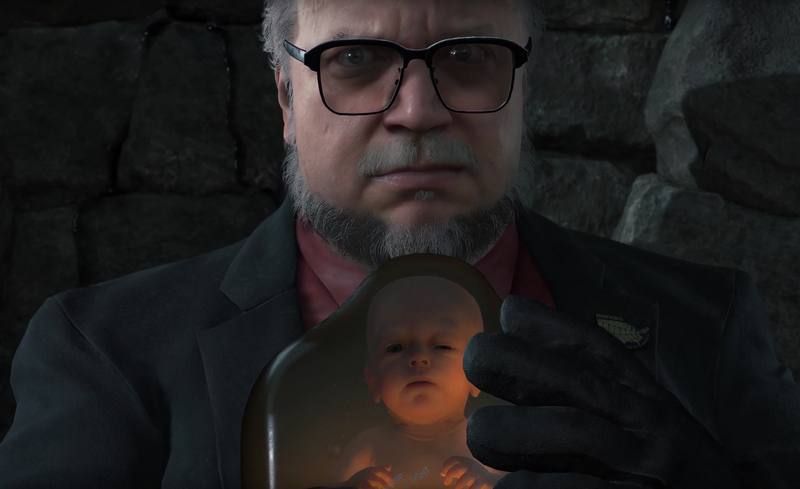 First, it was a naked Norman Reedus surrounded by dead sea creatures, and then it was an anxious Guillermo del Toro fleeing pursuers (Mads Mikkelsen) whilst holding a baby in a tube. These trailers have definitely succeeded in making the title seem all the more mysterious. Death Stranding is shaping up to be a Kojima passion project for the ages, which is reflected in the amount of time and effort he’s putting into the game. Whether it’s the use of photogrammetry to capture each actor’s likeness, working with Guerilla Games’ Decima Engine, or simply creating a nice studio environment for his team to work in, Death Stranding could wind up becoming Kojima’s most successful game to date.